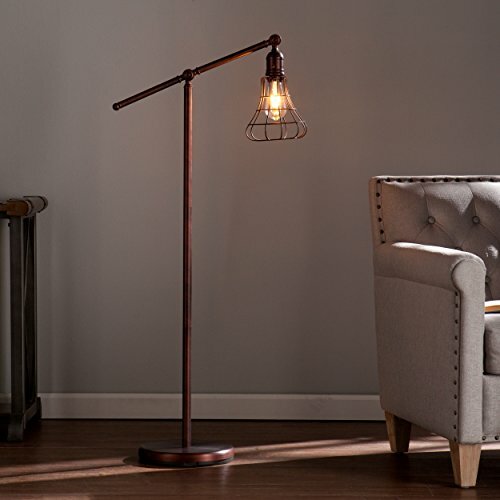 Take yourself back to the mechanical revolution with this intriguing floor lamp. TULIP shaped cage encapsulates Edison style led bulb while dangling from a faux pulley system. Lever swivels 360 degrees, directing radiant light as you desire. Turn on contemporary industrial style with this coppery bronze floor lamp in a reading Alcove, entertaining area, or hip eat-in kitchen. Brushed finish will vary lamp to lamp for unique look.